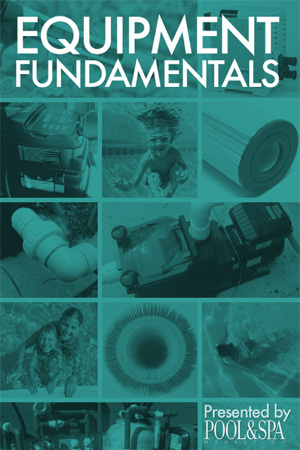 The Independent Pool and Spa Service Association (IPSSA) has expanded its education fund and is now subsidizing multiple classes throughout the industry to lower the overall cost of education for service professionals. Standard Bronze offers an expanded selection of the finest bronze, chrome-plated bronze, and stainless-steel products for the commercial pool industry. The Association of Pool & Spa Professionals (APSP) announces Carvin DiGiovanni, the vice-president of technical and standards, will receive the 2019 Paragon Award in the category of recreational swimming from the International Swimming Hall of Fame (ISHF) this May. The Association des commerçants de piscines du Québec (ACPQ) unveiled the names of the winning businesses and industry professionals during its 20th ‘Excellence Gala’ in November. The Association of Pool & Spa Professionals (APSP) has announced the newly revised 2019 standard for water quality in public pools and spas, which includes significant changes that will impact pool and spa service professionals. Jatinder Sidhu, COO of Vancouver-based Coast Spas Manufacturing, has received a fellowship award from the Association of Pool & Spa Professionals (APSP) in recognition of his contribution to the aquatics industry.